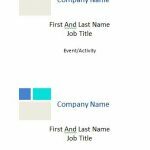 The Avery 5392 Template will help you organize your event flawlessly. 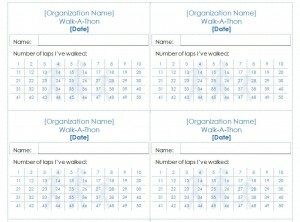 With the ability to customize, type, and print your walk-a-thon name badges; recognizing your walkers and event participants will be a breeze and fun to do. 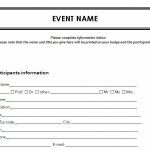 Utilizing the template will make printing and tracking your participants’ accomplishments, whatever your event; better, more uniform, more precise, and easier to read than handwriting, and the templates are so simple to use! Lastly, provide your badges to your participants to provide the ultimate in simple organization and tracking for your entire event. You can use small stickers to cover each lap number instead of pens for an easy, quick application and tracking. Remember, the Avery 5392 Template can be used for more than just walk-a-thons, use them for any event or activity that requires tracking repeat actions for fun, easy tracking! 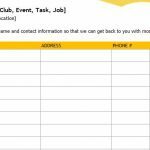 Don’t forget that you can also access the free, matching fundraiser pledge form to assist with easy fundraising for your event. With the Avery 5392 Template, you can create professional looking custom walk-a-thon badges right from your personal computer!